Every five years, the worlds medical librarians gather together to celebrate our profession, to hear and see the latest developments, and to meet old and new friends and exchange news and ideas. 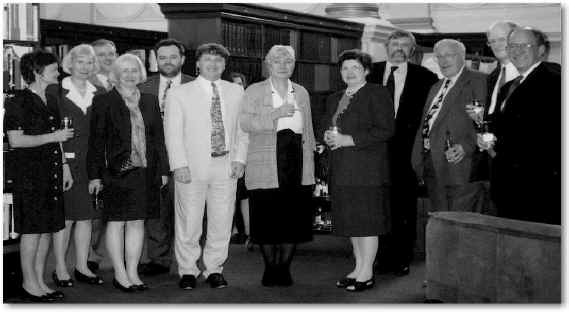 The next International Congress on Medical Librarianship will take place in London on July 2 - 5, 2000 and the organisers are planning an event which will be fit to grace the millennium. Medical librarians from all over the world are already involved in planning the programme itself and the surrounding professional and social events. To be sure of meeting everyones needs and interests we would like to invite as many colleagues as possible to join our International Consultation Forum. Members of the Forum will receive the Converge on London Newsletter, which will keep you informed and ask your opinion on important items. Forum members will also enjoy priority booking for conference accommodation. If you would like to join the Forum, or just register your interest in learning more about Converging on London, please complete the attached tear-off form and send it to the Library Association. Washington DC To foster the development and improvement of medical library service throughout the world. by Susan Y. Crawford, Ph.D.